Effective school leaders know that in order to improve, we must be in a constant state of motion. The question is, however, in what direction are we moving? Motion can be circular, backward, linear, or vertical, and although we may be moving, not all motion results in progress. 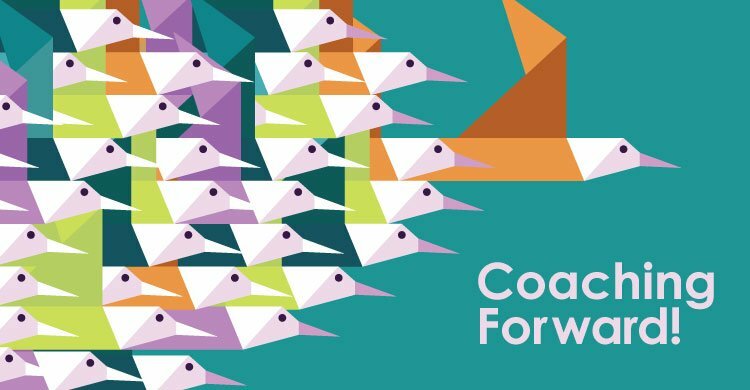 For educators and schools that implement PLCs, there is a fundamental belief that forward motion for collaborative teams is the catalyst to impacting learning, collaboration, and results. This forward trajectory builds momentum, acknowledges progress, engages all stakeholders, and positively affects outcomes for students. Yet forward motion in PLC implementation does not happen by chance. Instead, it is the result of a commitment to coaching collaborative teams to higher levels of effectiveness—a coaching forward stance. Co-ownership of next steps for both the team and the coach. Because the plan is co-created, a partnership and commitment to the work is established. The prioritization of next practice and awareness that incremental progress leads to overall success. Differentiated support that meets the unique needs of each grade level/content team. An embedded plan that establishes clarity and direction with associated timelines to progress monitor implementation. 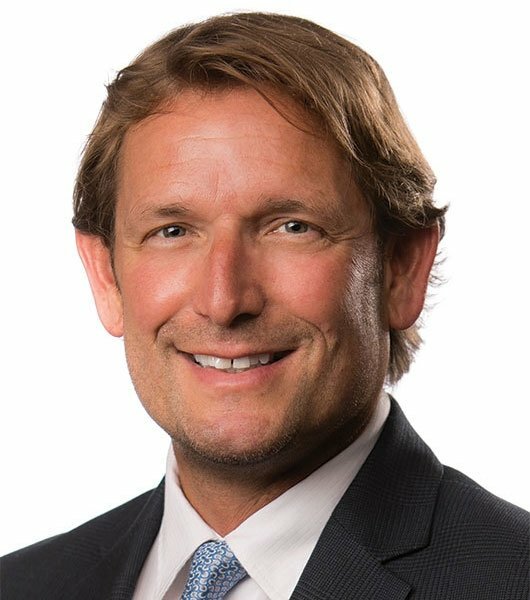 In order to create an action plan that meets the needs of each individual collaborative team, it is important to engage in a defined, concrete cycle of continuous improvement. The model above shows there are several precursory steps to the development of an action plan. 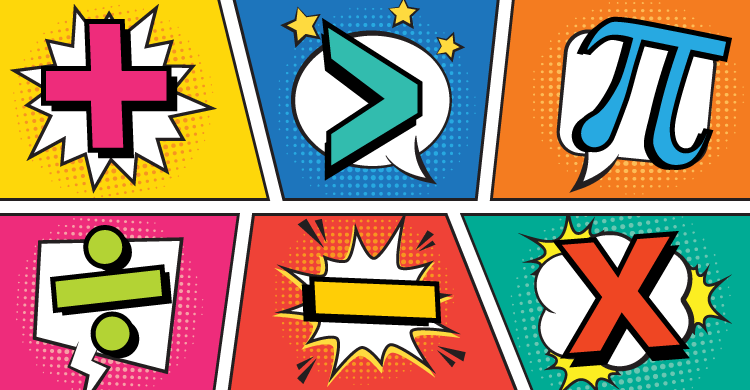 As described in our book, Amplify Your Impact: Coaching Collaborative Teams in PLCs at Work, we explain how a school’s Strategy Implementation Guide (SIG) can establish the foundational indicators and behaviors that define highly effective PLC practices. 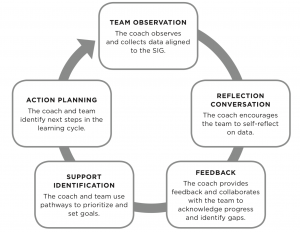 Coaching forward begins with observation of a team’s collaborative meeting(s), while referencing the SIG as a checkpoint to determine alignment of practice to the defined continuum of implementation. Following the observation, the coach and team meet to debrief and reflect on the observation. Using the SIG as the reference point, the coach and team are able to consider strengths and challenges. The SIG is essential because it defines the criteria and behaviors required for successful PLC implementation. 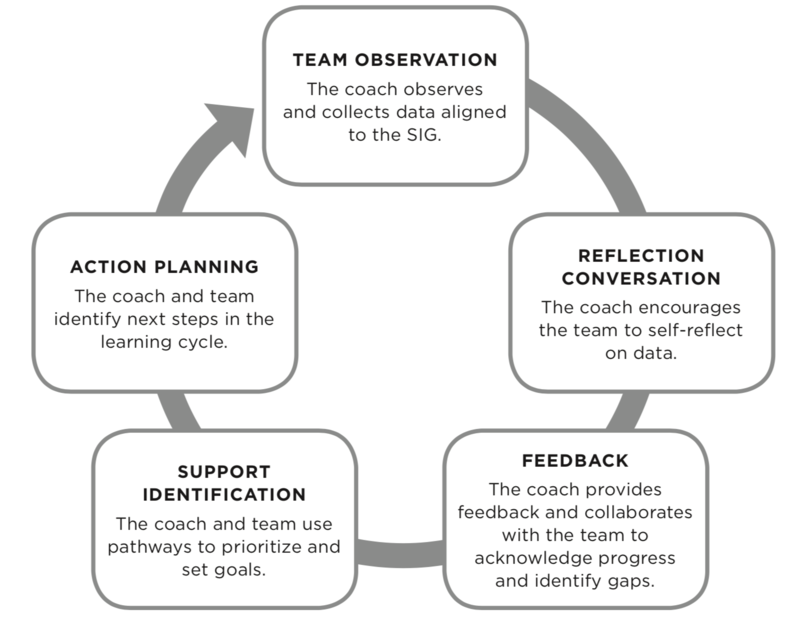 After reflecting together, the coach provides either consultant, collaborator, or reflective feedback related to the SIG. 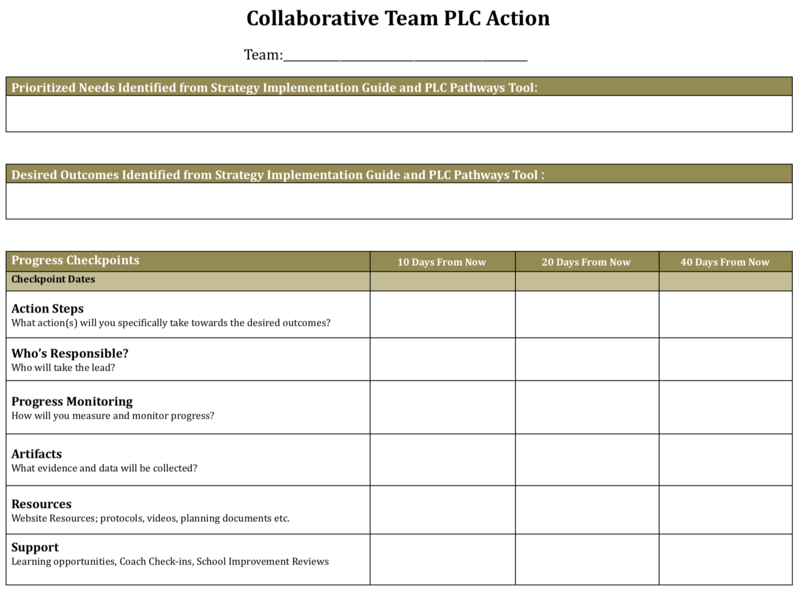 The PLC Pathway tool is then utilized to mediate the team’s collective thinking, determine the specific support needed, and identify the discrete next steps that will lead to the creation of the action plan. We have provided a sample action plan template that principals, coaches, and teams can use to plan their next steps forward. 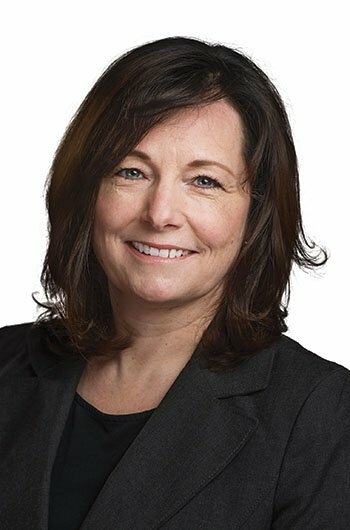 Leaving Nothing to Chance: Why Is an Action Plan Important? To answer this question, Bossidy and Charan (2011), sum it up best when they write, “Unless you translate big thoughts into concrete steps or actions, they’re pointless. Without execution (implementation), the breakthrough thinking breaks down, learning adds no value; people do not meet their stretch goals, and the revolution stops dead in its tracks” (p. 19). In other words, ideas for improvement are only ideas until we have developed a concrete plan. A plan, however, is only as robust as its implementation. It takes fortitude and follow-through for collaborative teams and their coaches to live out the “action” defined by the action plan. The forward motion to improve outcomes for student learning requires the development and utilization of an action plan that results in coaching forward. The charge for all PLCs echoes in the words of Walt Disney, who wrote, “Keep moving forward.” To live this mantra, consider taking time this summer to reflect and create an intentional action plan related to PLC implementation with your team. Spend time throughout the year refining and revising. Keep yourselves in motion. Our students are depending on it. Bossidy, L., Charan, R., & Burck, C. (2011). Execution: The discipline of getting things done. London: Random House Business Books. Many, T., & Sparks, S. (n.d.). 100 Day PLC Planning Template [Chart]. Broomfield, CO: ABS Enterprises.